After nine months of agonizing renovations, WE ARE DONE! My father-in-law's house is finally up for sale or rent. And more good news! My editor approved the proposal to write the next book in my new Navy SEALS paranormal series. My birthday is next week, but more than a cake, I wanted to celebrate listing the house and writing the next book. 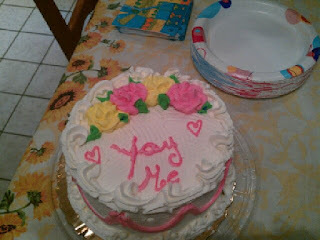 So I went to the grocery store and got this cake. 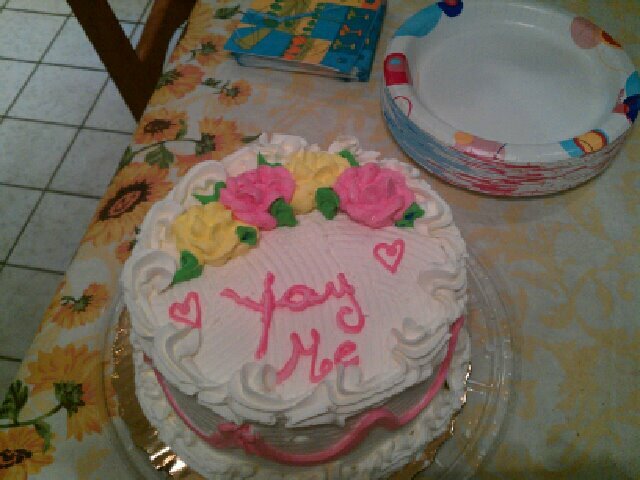 It says, "Yay Me!" Everyone should have a "Yay Me!" cake. Just do it. Go celebrate yourself! You deserve it.